Adam Sandler’s Netflix-exclusive movie, The Ridiculous Six looks worse than your average Adam Sandler movie. The film, a parody of the Magnificent Seven, follows a Native American and his five half-brothers in their attempt to rescue their kidnapped father. 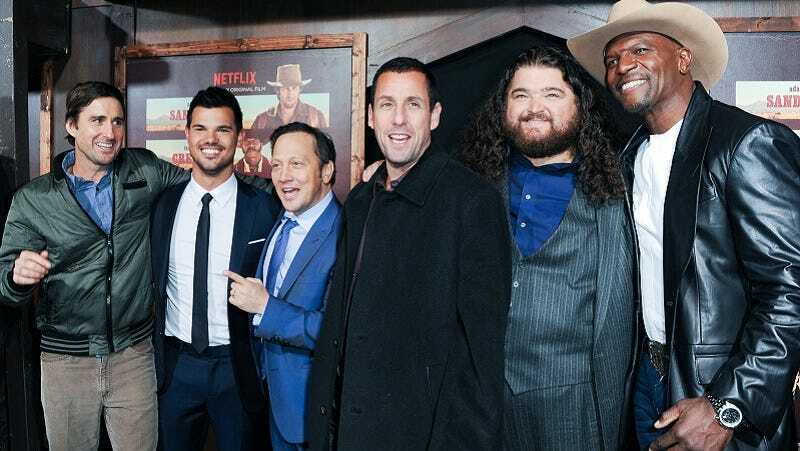 The film co-stars Sandler regular Rob Schneider, as well as Luke Wilson, Taylor Lautner, Danny Trejo, Jorge Garcia, and Terry Crews. Sounds truly terrible. Director Frank Coraci reiterated Netflix’s statement to Variety when he described the film as “pro-Native American.” His reasoning? “It follows a man’s journey through the wild west and his realization ‘that the values he grew up with [honor, trust and family] are the things that he gravitates back to.’” Sigh.